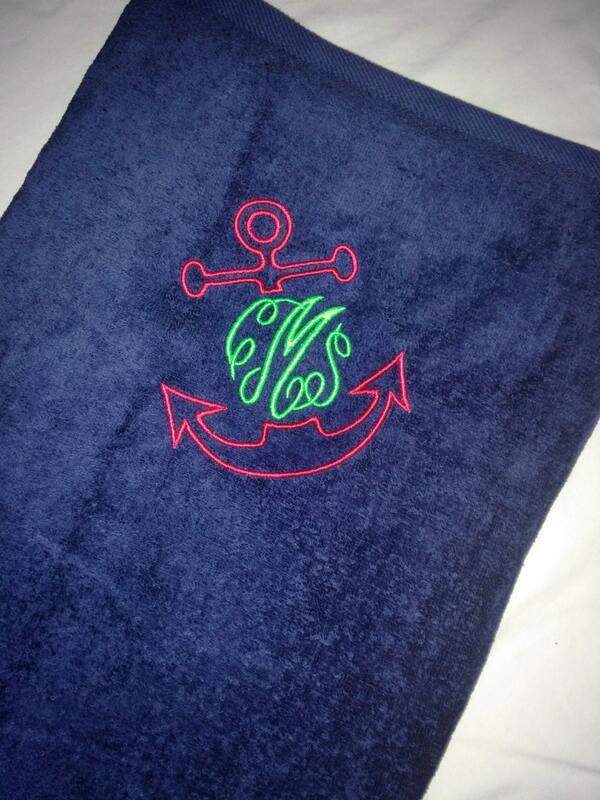 Solid velour beach towel featuring a tilted anchor with a 3 letter monogram. Size of embroidery is approximately 5x5. Must have for vacation or everyday summer use around pool! 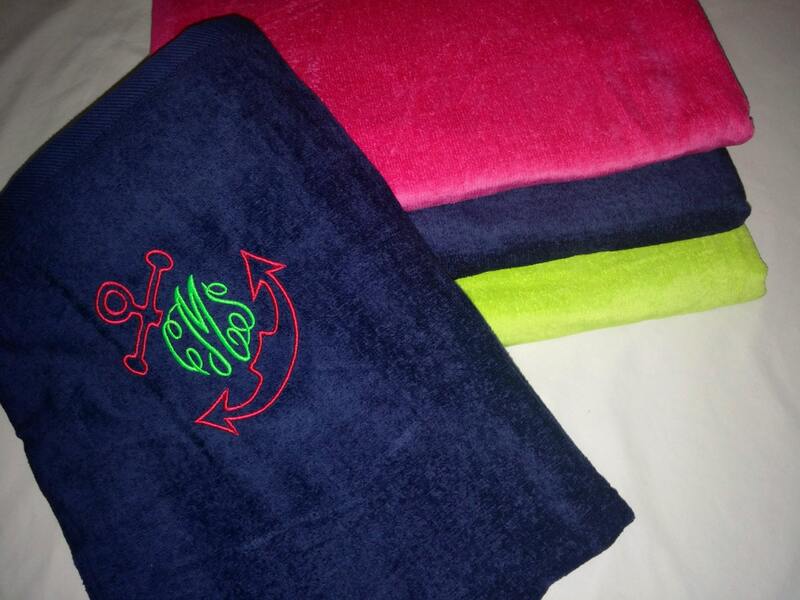 Great gifts for: Bridesmaids, Teachers, Graduation, Senior Trips, Spring Break or Swim Teams! Wonderful accessory to have around your home pool! Multiple towels available groups or family vacations! Ready to be customized by you! 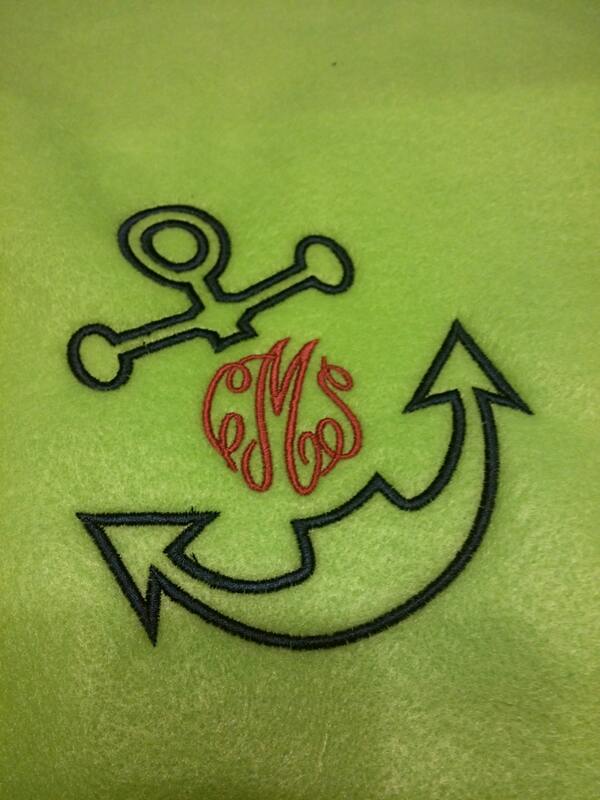 Sample shows script monogram, but, block monogram is also available if requested! 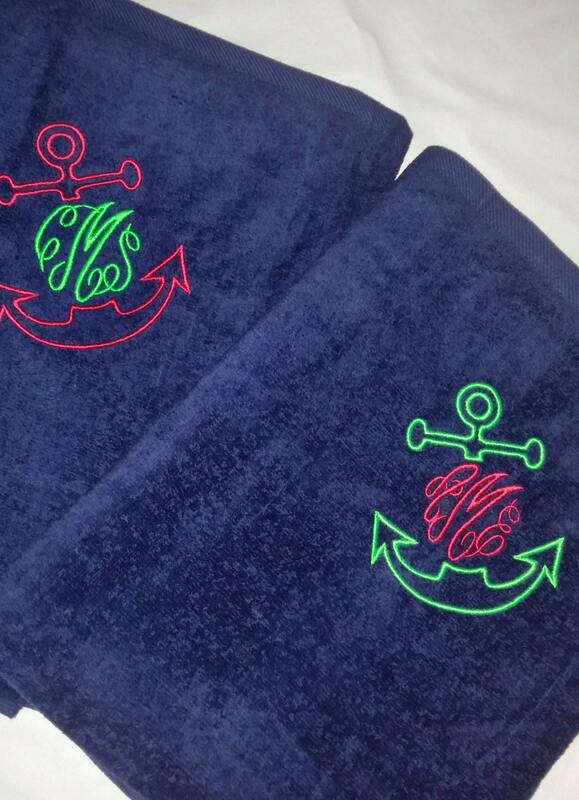 3 Solid towel colors available: Navy, Hot Pink or Lime Green. 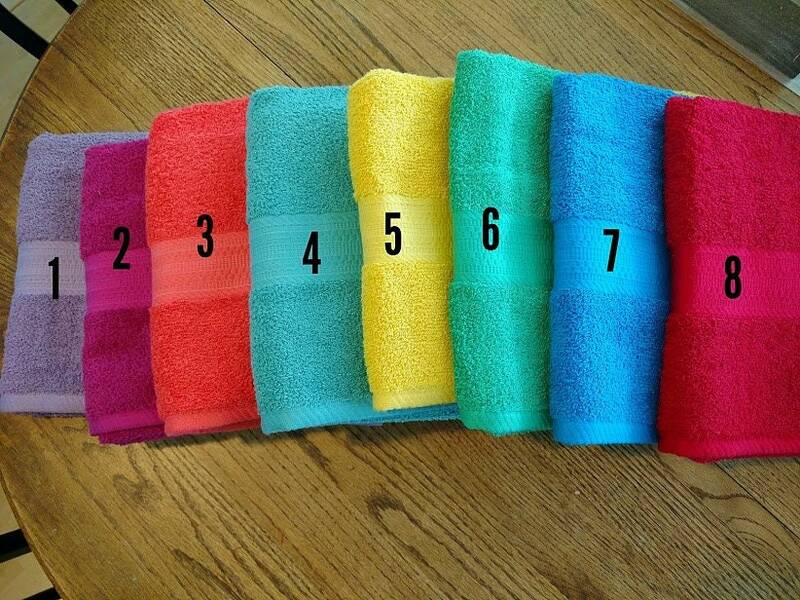 Custom embroidery colors also available, just send a request! 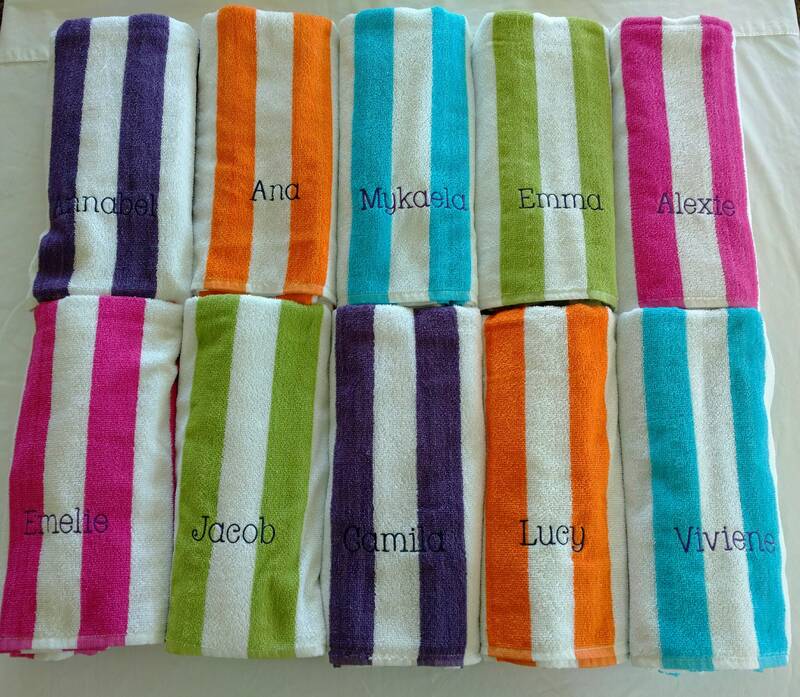 For Example: "Ella Payton Hall" would be "EHP"
I do have additional towels available if you need more than one! Please feel free to send a message if you have a specific request! These came out so amazing!!! 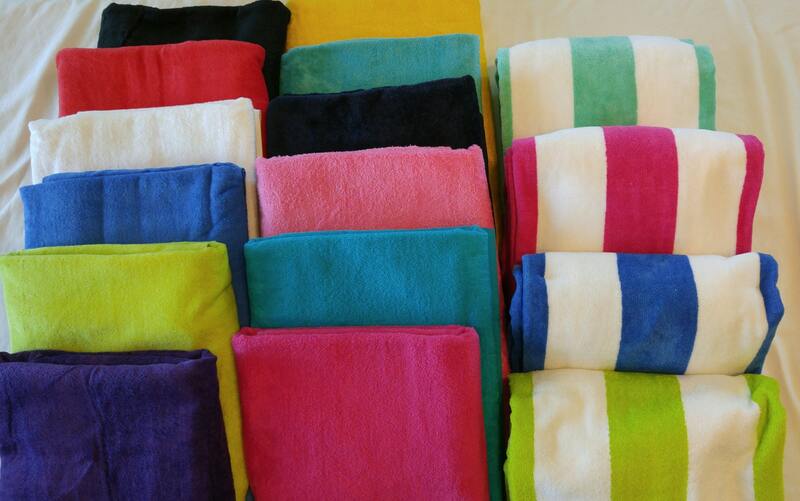 Beautiful beach towel! Super fast delivery! !